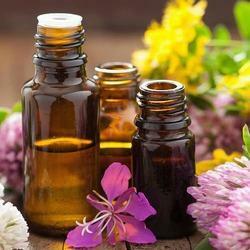 With marvellous specialized in this domain, we offer a qualitative range of Aromatherapy Oils. Our offered oils are mainly used from thousands of years for cosmetic purposes, as well as for their spiritually and emotionally uplifting properties. Moreover, these oils are thoroughly tested by our quality controllers using latest machines & tools against several parameters to enhance the superior quality. Apart from this, we provide these oils in tamper-proof packaging in order to meet the various requirements of our clients. Looking for Fragrance Oils, Aromatherapy Oils, SPA Oils ?